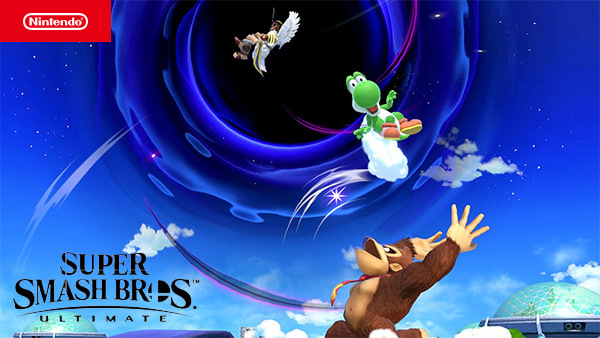 Featured image courtesy of Nintendo on the Super Smash Bros blog. Super Smash Bros ™ Ultimate was one game everyone wanted to hear about during E3 and fans were not disappointed. Nintendo announced a lot of features that will be in this new game! Below is the video from Nintendo at E3 2018. As you can see this looks like it’s going to be the best Super Smash Bros™ game yet! There will be 66 characters and many new items/pokemon! My favorite character to play is Link. In this game, Link is wearing the Champion’s Tunic from Breath of the Wild, but if you prefer you can change his outfit to the Tunic of the Wild. He now uses remote bombs and ancient arrows, which is very exciting for Link. Image courtesy of Nintendo. 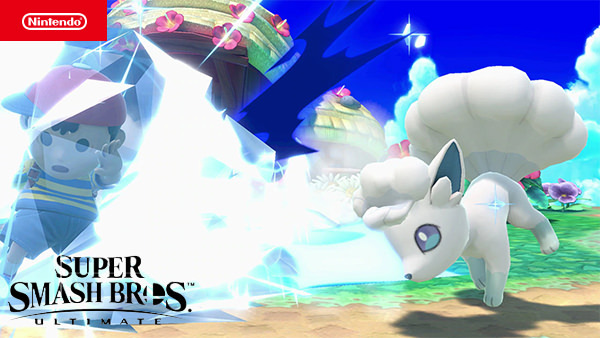 Super Smash Bros™ Ultimate / Alolan Vulpix Pokemon. Another cool addition was Sonic. His final smash called Supersonic is now either slow or lightning fast. Donkey Kong and other characters also have different facial expressions. Kirby is in the game with a new stone feature and new copy ability for all 66 fighters. They have added other great characters as well, some new and some from previous games. Some of these characters include Bayonetta, Diddy Kong, Snake, Lucina, Pichu, Zelda, Peach, Star Fox, Wolf, Captain Falcon, Ness, King Dedede, and many more. Some of the new items, pokemon, and assist trophies look like they will be very interesting. They have added pokemon like the Alolan Vulpix that can help you by freezing your opponents. Another item that I really love is the black hole that can take out multiple enemies at once. Now, that will come in handy. Image courtesy of Nintendo. Super Smash Bros™ Ultimate / Black Hole item. There are new and old stages as well. Some include Princess Peach’s Castle, Midgar, Kongo Falls, Lylat Cruise, Spirit Train, Frigate Orpheon, and more. The stages all appear to be breakable or get smaller over time. These new effects will make the game not only more fun, but a lot more challenging as well. They added new techniques as well! You can now attack while on ladders, which will definitely come in handy. Press and hold for rapid strikes is another new feature that will win the match by adding extra damage. There is so many new features, techniques, and items in Super Smash Bros ™ Ultimate that will make this game a great new addition to every family’s game collection. Below is a link to where you can pre-order the game through Amazon. If you are a prime member instead of paying the normal $59.99 USD, you will pay $49.99 USD. Are you excited for Super Smash Bros™ Ultimate? What are you most excited about? Let us know in the comments!